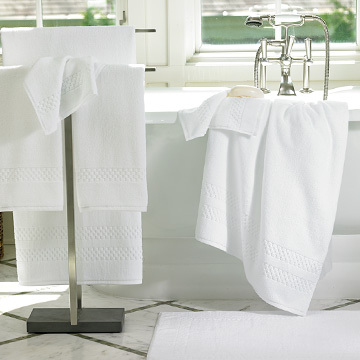 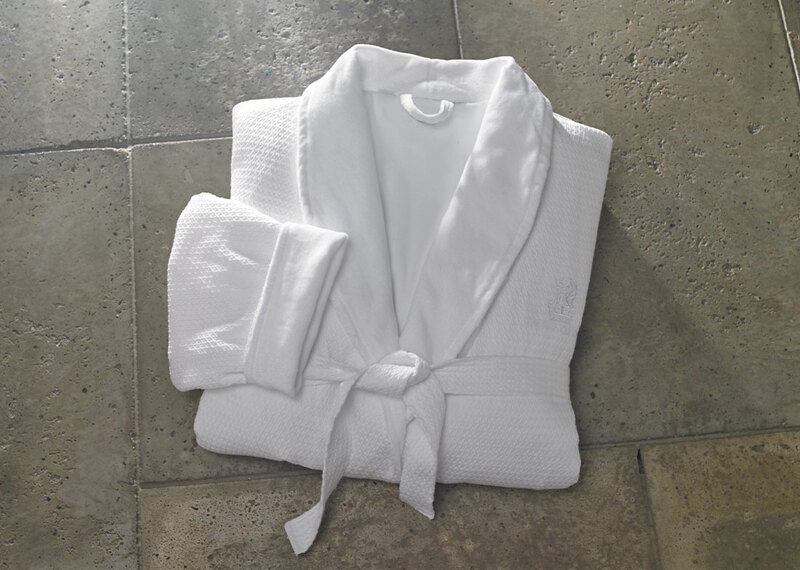 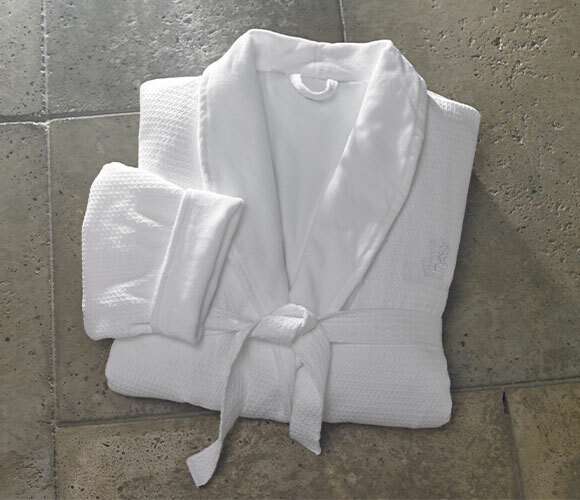 Perfect in every season, our lightweight cotton robe is made from waffle weave cotton and lined with cozy terry velour. 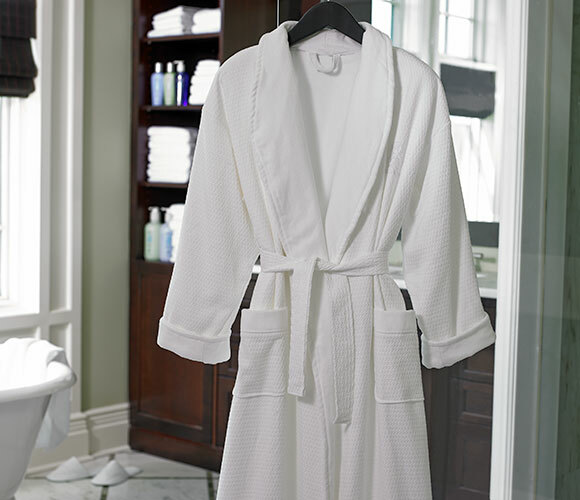 The effortless silhouette features full-length sleeves and a shawl collar for added warmth, two patch pockets and adjustable belt. 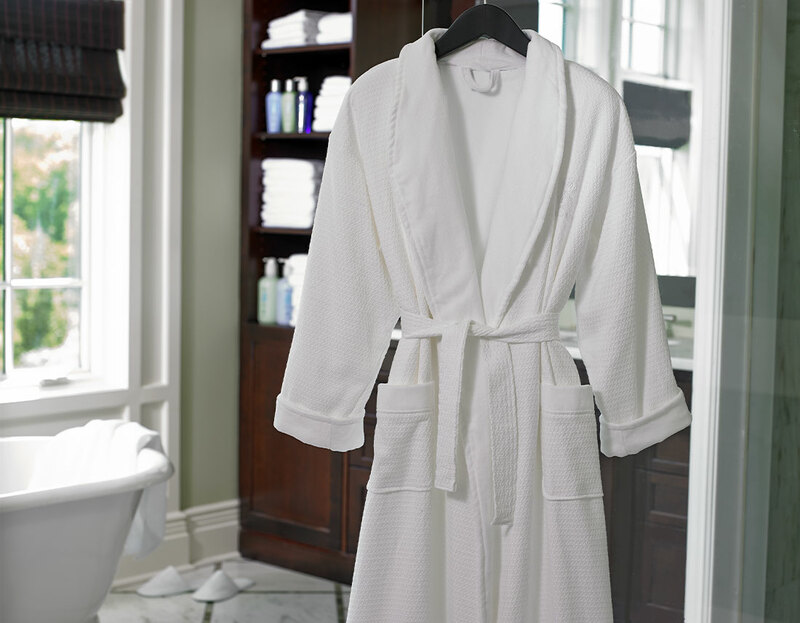 From morning coffee to evening relaxation, add this to your daily routine. 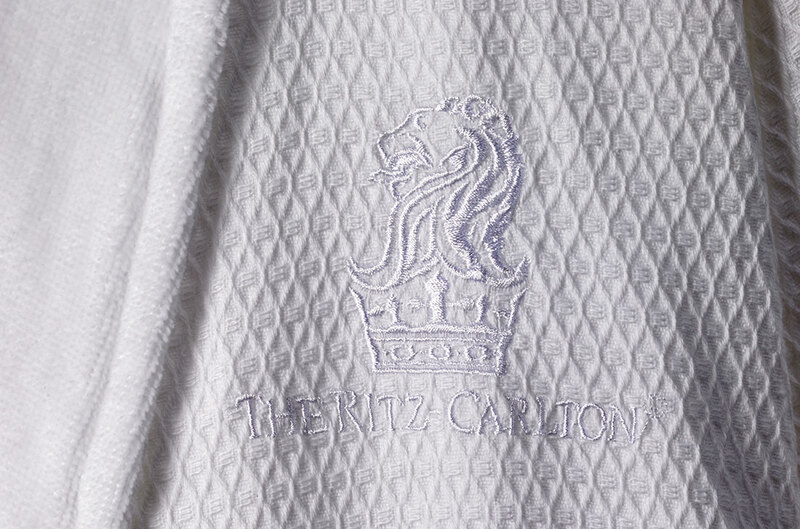 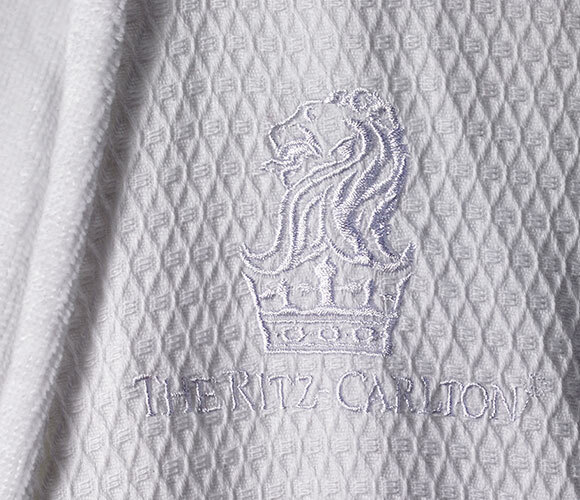 100% cotton shell with diamond waffle pattern; Terry velour lining; Shawl collar; Two patch pockets; Self-tie silhouette; Full length sleeve; 54" long; One size fits most; Machine washable; Available with or without The Ritz-Carlton embroidered logo.